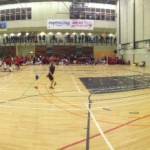 Active Essex Paralympic Roadshow's in town! 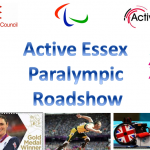 Active Essex is touring the county with the Paralympic Lantern, delivering their Paralympic Roadshow to schools across the County with the help of the Southend West SSP! 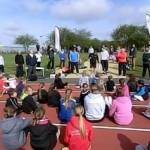 The next friendly schools Cross Country Match looks set to be held on Tuesday 26th February at Our Lady of Lourdes Primary School, Leigh on Sea. 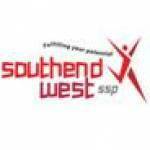 Congratulations to Bournemouth Park & Bournes Green who will represent Southend at the Spring Games (Information will be sent directly to these schools about this competition). 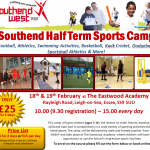 February Half Term Sports Camp! Sign up for our February Half Term Sports Camp at The Eastwood Academy, on the Monday 18th & Tuesday 19th February 10.00 (9.30 registration) – 15.00 every day. Get fit and start running in 2013!